The Committee spent some time at the start of the meeting debating on the agenda. DA Members had written to the Committee Chairperson objecting to the fact that the planned agenda, a briefing by S A Social Security Agency (SASSA) on the institutionalisation of the grant payment system, including presentation of plans, had been cancelled at short notice and replaced by a briefing by the National Development Agency (NDA). Members objecting pointed out that the SASSA briefing had been agreed upon as far back as 13 October and had been placed on the agenda following an agreement by the Chairperson as far back as June that the plan would be presented to the Committee. There was a suggestion that the Chairperson had deliberately tried to prevent the presentation, but the Chairperson explained that this had in fact happened firstly because the Minister, who wanted to accompany the SASSA delegation, was out of the country, and secondly because SASSA would be meeting with stakeholders prior to coming to brief the Committee. Whilst some ANC Members were also concerned about the change of agenda, they urged that a practical solution be found by assigning a Friday for a special meeting. The National Development Agency (NDA) Board had recently appointed a new Chief Executive Officer for the NDA, and she then briefed the Committee on the new business model and implementation plan for the Agency. It had been noted, following concerns of National Treasury, that the mandate of the NDA was not clear and that it still did not seem to be sufficiently visible to the public. The new model aimed to clarify the mandate and to ensure that all services would be more easily accessible by communities, largely by way of implementing a decentralised model. It was stressed that the NDA had a dual mandate – firstly to contribute to eradication of the causes and effects of poverty, by granting funding to civil society organisations, who would then carry out developmental projects, and secondly to promote consultation, dialogue and sharing of developmental ideas, including acting as a conduit for local and foreign funding. The new strategy had been approved by the Minister. The business case aimed to position the NDA to deliver fully on its mandate, reduce actual or perceived duplication, offer institutional support and promote visibility. There would be a focus on decentralising to the 27 priority districts, on upskiling staff, upgrading systems and processes, readjusting allocation of resources through the new model, agreeing on funding for the function shift, and packaging information to meet needs. The current model, relying as it does on human resources, meant that the costs of running the business were very high, especially when staff travelled long distances and advisory centres provided very limited assistance. Under the new decentralised model, many more functions would be located at district level and other social development sector programmes would be more closely aligned to the work of the NDA, whilst building improved partnerships with the civil society sector. NDA had combined two of its programmes to run three programmes instead of four, and the new focus of the programmes was described. The five new streams of work were also fully set out, with a focus on improved training and skills matching, identification of suitable sites, service re-engineering and financial sustainability, including the shifting of the NPO capacity building from Department of Social Development to the NDA, with appropriate funding. National Treasury and the Financial and Fiscal Commission were involved. Members asked what would happen to the staff currently employed by the Department of Social Development, wanted to know the cost analysis findings and asked what the challenges were likely to be. They asked how the strategy would pan out, and what time frames were envisaged,who the mentors would be and for what period it was anticipated that they would be in place, and when they would exit from their mentorship role. Members also asked what would happen if the budget was not approved, and whether there were alternative plans. Members were asked to try to enquire about suitable – ideally free – accommodation for the NDA in their own constituencies, and asked whether the core mandate would be affected by the change. The Chairperson noted that before the meeting started, she wanted to deal with the unhappiness expressed by some Committee Members from the DA about the change of agenda item. The programme had listed a briefing on the transformation of the South Africa Social Security Agency (SASSA), an entity that was established to respond to the poverty issues in the country, although it was never envisaged that SASSA would be the tool for social development on a permanent basis. There had been concern that the Chairperson was “blocking SASSA from making the presentation”. She said that this was not so, she had no vested interests. In fact, the Minister of Social Development was the chair of a commission in the New York Process, and was currently engaged in work of that commission. The new Director General of SASSA could not make the presentation on transformation without the Minister being present, and so this issue had been held over until the Minister returned from her trip and was able to arrange another date with the Committee Chairperson. She added that there was no reason why Members should be unwilling to attend to other matters. Ms Lindiwe Ntsabo, Committee Secretary, confirmed that she had received an official letter from the Department of Social Development (DSD) to change the programme because the Minister is abroad due to work commitments, and in view of the fact that the Minister had specifically indicated her wish to be present during the briefing by SASSA. She was due to return to the country today. 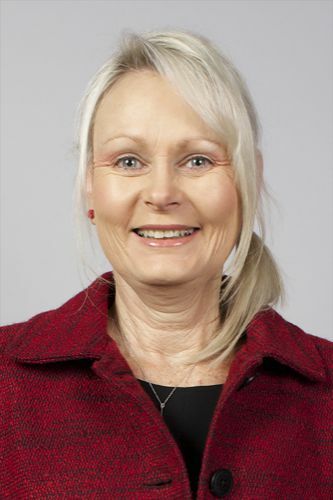 The DSD was furthermore due to have stakeholder engagement on the social security reforms as well as institutionalisation of grants, and she assumed that the DSD wished to do so prior to briefing the Committee and giving a broader input. Ms B Masango (DA) thanked the Chairperson and said she wanted to highlight the reasons why the letter had been addressed to the Chairperson. In the meeting of 13 October, the Chief Executive Officer of SASSA had made mention of the institutionalisation of the grant payment system, had spoken to workstreams and the phases, and Members had specifically asked, firstly, where the plan was, and how far SASSA had gone with the takeover of the payment system. The Committee had already written on 7 June asking for that plan, so that it could exercise proper oversight. There were seven deliverables as set out by the Constitutional Court that were supposed to be achieved. Given that some were already due in June, when the request for the plan was made, there was some urgency to getting that information, yet the Committee still had no idea of the plan. When the Members pushed the point, the Chairperson had asked that Members should wait, because there was already a date of 16 November set when that plan should be presented. SASSA had assured the Committee that everything was on track and it would not disappoint the 17 million affected South Africans. 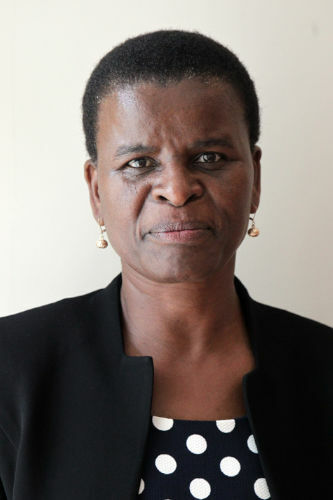 She added that after that meeting the Chairperson had specifically come to speak to Ms Masango, assuring her that she had not intended to put her off but that everything would be discussed, with a fully-fledged presentation, on 16 November, and that every relevant document would be presented to the Committee. However, on 10 November, Members received notification on this meeting and found that the agenda item had changed, but Members were not told of the fact that the Minister would be away, simply that the Department was still due to meet with stakeholders. She was concerned about this, and wanted to stress that given the exceptionally high unemployment and dependence of so many on the grant, the Committee needed to be given full information on the plans. . The Chairperson said that the Committee would recall the background and was disappointed because in June she had specifically explained why the answers were delayed. The current letter was suggesting that the Chairperson was deliberately stifling the presentation. She pointed out that Parliament had a programme, but there were priorities also to be taken into account. An annual report was due to be presented. Ms S Tsoleli (ANC) said that whilst she did not want to go into the finer details of the letter, it was disturbing when Members had specifically adopted a programme, and that SASSA knew that it had to make the presentation, and she too was concerned about this postponement. In future, she would not like to see this happen again as it had an impact on how the Committee dealt with its responsibilities. Ms E Wilson (DA) said she had serious concerns when she suspected that she was being lied to. She agreed that the entity had known about the presentation in advance. Secondly, the Committee had to know whether the ruling of the Constitutional Court was being complied with – otherwise there could be contempt of court leading to arrests, and she would be very upset were this to happen. She agreed that this plan should have been presented as scheduled, and Members should be told whether the court conditions were being complied with, so that the Committee could know what the next steps were; if the plan was not ready, what would the next steps be. The Committee has been trying to get the information, by way of written questions, since 7 June and not one question had been answered. It should be put on record that Members were “not angry, but disgusted” at the fact that the Minister's New York travel was taking priority over the lives of 17 million people. Ms H Malgas (ANC) started to say that as the Whip of the Committee, she wanted to make a point. Ms Wilson interjected to point out that she was an ANC whip, not the Committee whip. Ms Malgas said that she expected to be shown respect. She said Ms Wilson should have referred to her as ‘Whip of the ANC Honourable member’. The debate is a policy matter. There was information on the ground about the banks that will be rendering the service, and it would be important to hear from the Cabinet Member what the situation was. Mr S Mabilo (ANC) said Members of the opposition party should not pretend that they cared more about the vulnerable 17 million people. The ANC, since 1994, had delivered on its social security resolutions. It was important that the Minister be present. She was not, and so the Committee had to be pragmatic and realistic. No one was more able to speak with authority on social security, than the ANC. The meeting should move on and not be politicised. He said that the change of programme should not be encouraged, but it must be remembered that there were also other programmes that the Committee must look into. The Chairperson said she has discussed the rescheduling of the meeting that the Minister is supposed to attend. The visit of the Minister should not be seen as a waste of time and under no circumstances was the change of date to be seen as neglect to the 17 million people mentioned. The Committee, having heard the views of Members, could now decide whether this was a priority issue and how it will be fast tracked when the Minister is back. The Minister is also mature enough to know that this matter is urgent. She added that she had been in interviews with radio stations about SASSA being in crisis, and predictions about looming disaster. She stressed that the Department was not deliberately running away and there was no necessity for Ms Masango to write a very detailed letter to the Chairperson. The Committee will work with the Department to make sure a date is available. She added that if necessary the Committee would make application to sit on a Friday or weekend. Ms Wilson said she had never said that the trip to New York was not important. However, SASSA was a critical South African issue. She asked how the ANC Whip had information about the banks that would be rendering the service for the grant payment, when the information has not been brought to the Committee. Ms Tsoleli suggested that the Committee make up its mind to have the presentation made on a Friday. She pointed out that the comprehensive social security system is not a project but a programme to alleviate poverty in South Africa, and that implied that it was to be done over a period of time. She suggested that on the Friday set for the meeting, there should be a specific briefing on how far SASSA had gone, since there was an intention to implement the system by May 2017. In relation to the question on the banks, she pointed out that in South Africa the media had considerable information and it should not come as a surprise if one Member had more information than others. The Chairperson wanted to clarify that the ANC was the ruling party, and the ANC Whip was effectively controlling the Committee, but Members should be mature enough to respect all political parties, and she appealed to all Members to be more sensitive about what they said. Ms L van der Merwe (IFP) urged that the Committee should move on and supported the proposal to set a special meeting on a Friday. He agreed with Ms Wilson that in terms of the procedure and rules of Parliament, there was no Committee Whip, and Ms Malgas was the ANC Whip. However, she would also like to stress that all Members should respect each other. The Chairperson said that technical interpretations could cloud the issue over whether a Whip or Chair was allied to the Committee or to the ANC, but she agreed that Members should respect each other. Mr Mabilo said that such an issue had never arisen before in the two-year life of this Committee, and the fact that this was happening now was negative and would not take the Committee anywhere. He maintained that ANC Members did not wish to be intimidated by Members from the opposition. The Chairperson noted that this had been a healthy debate arising from the fact that all Members were politicians. The Committee Secretary noted apologies from the Minister, Deputy Minister and from the Acting Director General of the Department of Social Development. Mr Braam Hanekom, Board Member, National Development Agency, said that the Board had recently undergone the due process to appoint the new Chief Executive Officer, and the appointment decision was based on academic qualifications, strong link with communities and grassroots structures. The Board, after considering the CVs and conducting a series of interviews, had decided unanimously to make a recommendation to the Minister to appoint Ms Thamo Mzobe as the new Chief Executive Officer (CEO). She had a history with the NDA and hopefully would bring her energy to bear in order to move things forward. Ms Thamo Mzobe thanked the Committee for the warm welcome. She also stated that the purpose of the presentation is to get input from the Committee through comments, suggestions and questions which will help strengthen the programme of the NDA. - strengthening the institutional capacity of other civil society organisations (CSOs) involved in direct service provision to the poor communities. - acting as a conduit for funding from the SA government, foreign governments and other national and international donors, for development work carried out by CSOs. A review of the NDA had been done by the Department of Social Development, after National Treasury had expressed some concerns about the clarity of the mandate, and the outcomes of the Mikondzo project. It became clear that the services of NDA were not visible and accessible to the community. NDA had therefore now developed a business case and strategy aimed at repositioning and reorganisation, so that it could meet its mandate effectively. The proposed business case, strategy and implementation plan was made known to all stakeholders including interim accounting authority, executive authority, heads of social development structure and MinMEC. The NDA strategy 2016/2021 and the APP 2016/2017 has been approved by the Minister of Social Development. The problem statements addressed by the Business Case (BC) are the positioning of the NDA to deliver on its mandate, focusing and establishing a niche to eliminate the perception of duplication of services by NDA and other departments, institutional support structure, visibility and accessibility of NDA services by CSOs. b) Up-skilling and preparation of staff. All 117 staff are now ready; 90 were trained in facilitation and mentorship for CSOs, 27 are currently being trained on community development practice. c) Upgrading and re-alignment of systems and processes. The NDA is currently in a process of finalising the appointment of an IT service provider for this work. d) Re-adjustment of resource allocation to the Agency. The current resources allocated by the state to the NDA cannot support the new model. The model requires reforming and re-engineering of the Agency as a whole for it to be effective, and decentralisation of service delivery to a district level. It also requires additional skills and or reskilling of current staff to effectively implement this model. d) The NDA has identified the funding approaches for the business case, including agreeing with DSD on the function shift. e) Packaging and deployment of relevant information. The current packaging and deployment of relevant information to communities and civil society organisations is ineffective as it is not needs based. A model and package of services has now been defined. She added that the current business model has its limitations. Across all NDA programmes, human resources skills are required to implement programmes and projects located at provincial and national levels. This results in high costs in running the business, as staff have to travel long distances to implement and monitor programmes. It also affects the quality of service provided. The advisory centres are currently providing very limited functions and this makes the business ineffective and inefficient, as financial resources are directed to people and infrastructure costs, with a minimum return on investment. The new business operation structure is being realigned. It has decentralised the implementation function so that this will be located at the district level. This means that all programme, project operations and skills required to implement and support CSOs will be located at the district level. The benefits of the new model are the integration of NDA interventions with other social development sector programmes, increased access to NDA integrated programmes and visibility, improved operational efficiencies, thus reducing the running cost, promoting the use of local resources in accelerating local economic empowerment and development, and improved partnerships with the civil society sector, thus strengthening their service delivery programmes. Programme 1: Governance and administration. The aim is to promote and maintain organisational excellence and sustainability, through effective and efficient administration that includes performance, employee well-being, cost containment and brand recognition. Programme 2: CSO Development. This aims to provide a comprehensive package that hopes to develop CSOs to their full potential to provide quality services to the communities. The main areas of focus in operations are CSO mobilisation and formalisation, capacity building, resource mobilisation and sustainability. Programme 3: Research development. This will undertake and action research and impact evaluative studies that will be used to inform programme planning, implementation and management of NDA, and CSO development programmes. - Organisational restructuring and alignment. This stream is responsible for restructuring and organisation development to respond to the new NDA operational model and structure requirements, at national, provincial and district levels of the NDA. It will also facilitate the matching and placing of the staff at all levels of the organisation. - IT enhancement and optimisation. This stream facilitates and assesses the IT infrastructure, configurations and systems requirements. It will review IT policies and procedures, acquire suitable IT equipment for staff in the organisation. - Physical infrastructure. This stream assesses infrastructure requirements for the NDA decentralised model. The nine sites for district offices have been identified and are in different stages of finalisation. Engagements with provincial DSD, SASSA and municipalities on the availability of offices are under way. - Service re-engineering. This stream develops CSOs' development model, frameworks, standards, procedures and tools to guide implementation of interventions to be delivered by the NDA. It also facilitates staff training on the new NDA business model. Staff orientation and training commenced in September 2016 and will be completed in November 2016. - Financial sustainability. This stream facilitates the exploration of the funding models for the NDA business case and engages relevant structures to fund the NDA. A funding proposal related to the function shift was presented to the DSD management. The proposal is for DSD to shift or delegate the NPO capacity building to NDA. National Treasury was consulted on the function shift processes and it had provided the guidelines for it. Ms Mzobe said that the prioritised districts for the NDA decentralisation are Chris Hani district in Eastern Cape, Khariep district in Free State, West Rand District in Gauteng, King Cetshwayo District in KwaZulu-Natal, Greater Sehukhune District in Limpopo, Ehlanzeni district in Mpumalanga, Ngaka Modiri Molema District in North West, ZF Mgcawu District in Northern Cape and Eden District in Western Cape. The NDA proposal was supported by the Heads of Social Development Sector on 25 October 2016. The proposal was approved by MINMEC on 3 November 2016. The Minister will need to appoint a project team to lead the function shift process. The project team will start a process of engaging National Treasury and the Financial and Fiscal Commission on the intended function. The NDA is tapping into and engaging with the Chief Financial Officer of the DSD, who is an expert on shifting of functions. The team will develop a project plan for the function shift aligned to National Treasury budget cycles. Since the Agency missed the cycle of September, it would hopefully have achieved this by the next year. The Minister will inform Cabinet of the intended function shift. The Minister of Finance will be engaging through the MinCOM Bud, to make a recommendation to Cabinet for the final approval. Mr Mabilo asked what would happen to the staff currently employed by the DSD if the proposal to shift or delegate the NPO capacity building to NDA is approved. He wanted to know the findings on the cost analysis. He also asked what were the expected challenges when the new strategy was implemented. Ms Masango was pleased to hear that the NDA was engaging with the Financial and Fiscal Commission. She asked what were the expected life spans for the strategic streams? Ms B Abrahams (ANC) asked who would be acting as the mentors in the revised structure and what was the intended period that they would be in place, and when they would exit from the mentorship plan. Ms Wilson asked what had been done to get the budget, what would happen if it was not received and whether there was an alternative plan if that were to happen. Ms van der Merwe said she feels positive about the function shift. She wondered if it was possible to persuade the municipalities to let the NDA have offices free of charge, in consideration of the NDA's limited budget, and its mandate to fight poverty in the country. She also wondered what would happen if the funding was not approved. She asked if there were monitoring and evaluation frameworks in place? Ms C Dudley (ACDP) asked what factors and mechanisms are in place to cater for the fact that the function shift might be causing a problem? Ms Malgas asked if the challenges of the function shift will affect the core mandate. Ms P Sonti (EFF) asked her question in a vernacular language. The Chairperson translated that Ms Sonti had been asking why information on Programme 2 was missing from the presentation and whether the NDA could assure the Committee that other programmes would not suffer from the transition, bearing in mind the main responsibility and mandate of the NDA. Ms Mzobe firstly responded to the questions on challenges. The main challenges were linked to infrastructure and negotiation of office space. She asked that Members of the Committee should encourage their constituencies to help the Agency in the negotiation of its office space requirements. Another challenge was to do with the change management strategy. The work of the Agency was essentially done through human beings and when there is a change, uneasiness and uncertainties follow, although the stream of HR would try to deal with these uncertainties. She assured Members that there were timeframes for the streams, other than that of human resources. She also told Members that the budget had already been approved. She reiterated that the NDA had reduced its programmes from four to three, and that the original Programme 2 on CSO mobilisation, and Programme 3 on CSO capacity building had now been merged into a single programme, now named CSO Development. Mr Peter Netshipale, Deputy Director General: Integrated Development, Department of Social Development, said that there are always difficulties whenever there is a shift in function but that there are processes in place to make sure that the staff would not suffer in this case. In some of the levels it was more to do with the money available, not the people, particularly at the provincial level. Mr Bongani Magongo, Executive Director: Development and Management, NDA, responded to the questions around mentoring. Under the stream of service re-engineering, there is a defined framework for the CSO development. The framework included tools, procedures and guidelines for mentoring, monitoring and evaluation. It defines how to assess the need for mentoring and incubation, and then, based on where that need is found, it will determine the duration of the mentoring that should happen within a particular organisation. It also defines the tools for monitoring of the organisation. There is a model framework for the evaluation and monitoring. The Chairperson urged Members to approach relevant organisations in their constituencies to assist with negotiating for premises for the NDA.